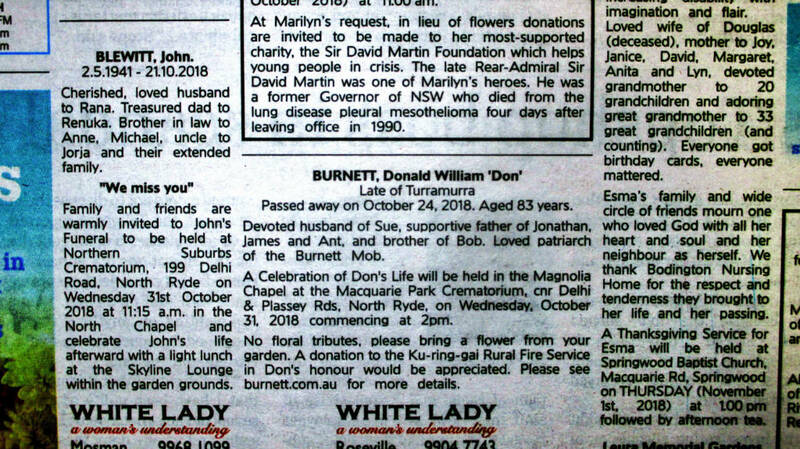 Today’s SMH displayed Don’s obituary. Whilst you can add your thoughts to the commercial site, we’d prefer to keep it in-house on the Condolences page. Passed away on October 24, 2018. Aged 83 years. Devoted husband of Sue, supportive father of Jonathan, James and Ant, and brother of Bob. Loved patriarch of the Burnett Mob. 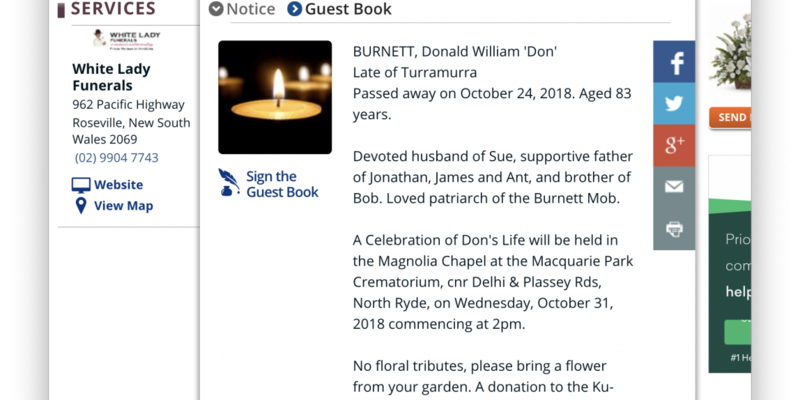 A Celebration of Don’s Life will be held in the Magnolia Chapel at the Macquarie Park Crematorium, cnr Delhi & Plassey Rds, North Ryde, on Wednesday, October 31, 2018 commencing at 2pm. No floral tributes, please bring a flower from your garden. A donation to the Ku-ring-gai Rural Fire Service in Don’s honour would be appreciated. Please see burnett.com.au for more details.